3.46GHz Six Cores 12MB Cache SLBVX. In addition, this Xeon processor is compatible with a PC platform. 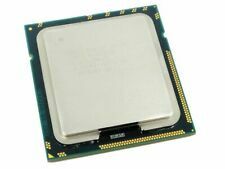 Furthermore, this six-core CPU provides a 1333 MHz bus speed and features Socket B. Processor Model Xeon X5690. 2 x Intel Xeon Hex Core X5690 @ 3.46GHz, 6.4GT/s QPI, CPU's, Matched Pair. 6.4GT/s QPI. (Matched Pair). Sold as tested and working. Also Isle of Wight and Isle of Man and any other off-shore locations. We can often fit up to 40 computers on one pallet. You will need to provide a phone number for this service. Model: Xeon X5690. Tested and working Xeon CPU. No other options are available. Processor only, no accessories included. In 100% working order. Other country. Asia countries. USA&Canada&Australia. United Kingdom. 2 x Xeon X5675 3.06Ghz. Processor Base Frequency - 3.46 GHz. Disk Upgrade available Alternatively, you can collect the parcel from your local depot. Only high quality products. We are here to help! THESE ARE NOT SUITABLE FOR ANY OTHER MAC PROS. Step Code: SLBVX. Model: X5690. Socket: LGA1366. All of our CPUs are tested and cleaned before dispatch. We are aware that mistakes and problems can always occur but we will endeavour to get any issue resolved as quickly and fairly as possible. Notes on sSpec: SLBVX. Processor number: X5690. Socket type: Socket 1366 (LGA1366). L3 cache size (MB): 12. L2 cache size (MB): 1.5. 2 x Thermal Grease. Processor model X5690. Highly threaded applications can get more work done in parallel, completing tasks sooner. Processor cache type L3. Processor frequency 3.46 GHz. Processor boost frequency 3.73 GHz. This processor can be installed on motherboards with an integrated socket B slot. Model Number : Xeon X5690. Socket Type : LGA 1366. L3 Cache Capacity : 12MB. 3.5mm USB Mini Bluetooth Wireless Aux Stereo Audio Music Car Adapter Receiver UK. 12 Threads. Socket LGA 1366. Tested / Preinstalled with VMWARE ESXI. 6.5 on 16GB USB (included). DELL PowerEdge R710 Rack Server. Backplane: 1x 6 Bay 3.5” LFF SATA /SAS /SSD. 3.5" LFF Drives. Rack Rails: Not Included . Server Options / upgrades . (E.g. you brought wrong size or wrong item). Processor Xeon x5690 ( 6 cores x 3,46 ghz). Serie Xeon. Velocidad de reloj 3,46Ghz. for Mac Pro 4,1 (2009) or 5,1 (2010) systems. 1x Allen / hex wrench to disassemble the Mac Pro heatsinks. 1x Wipe withIsopropyl alcohol for cleaning heatsinks and cpu. ETA 3 to 6 Weeks. Product Specification. Step Code SLBVX. For upgrading your Apple Mac Pro 4.1 or 5.1 to 12-Cores at 3.46GHz. Clock Speed 3.46Ghz. # of Cores 6. # of Threads 12. Windmill Place, 2-4 Windmill Lane. Technical Introduction & Specifications. Part Number : SLBVX. L3 Cache 12MB. CPU Type Xeon. Processor Type Xeon. MPN BX80614X5690. Cache - 12MB SmartCache. We provide free Technical Support over the phone if you're having any installation or other technical problems with our products. Bus Speed - 6.4GT/s QPI. And many more. 2 processors Xeon x5690 ( 6 cores x 3,46 ghz). Serie Xeon. Velocidad de reloj 3,46Ghz. for dual Mac Pro 5,1 (2010-2012). S If you have a Mac Pro 2009, you will necessarily need the version without IHS (see my other ad). 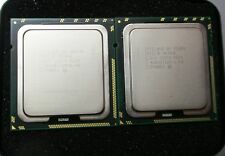 2 processors Xeon x5690 ( 6 cores x 3,46 ghz). Serie Xeon. Velocidad de reloj 3,46Ghz. for dual systems Mac Pro 4,1 (2009). Allen / hex wrench to disassemble the Mac Pro heatsinks. 1 year warranty. MPN No aplicable. Part Number : SLBVX. Servers Are Us. Type de processeur Xeon Hexa Core. 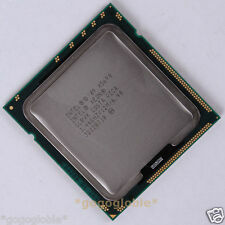 Série Xeon X 5690. la vitesse d'horloge 3,46 GHz jusqu'à 3,73 GHz.